If you are like me and are a big fan of the book and film Gone with the Wind, you will be as excited as I was to learn that the Harry Ransom Center has a new exhibit, The Making of Gone with the Wind. 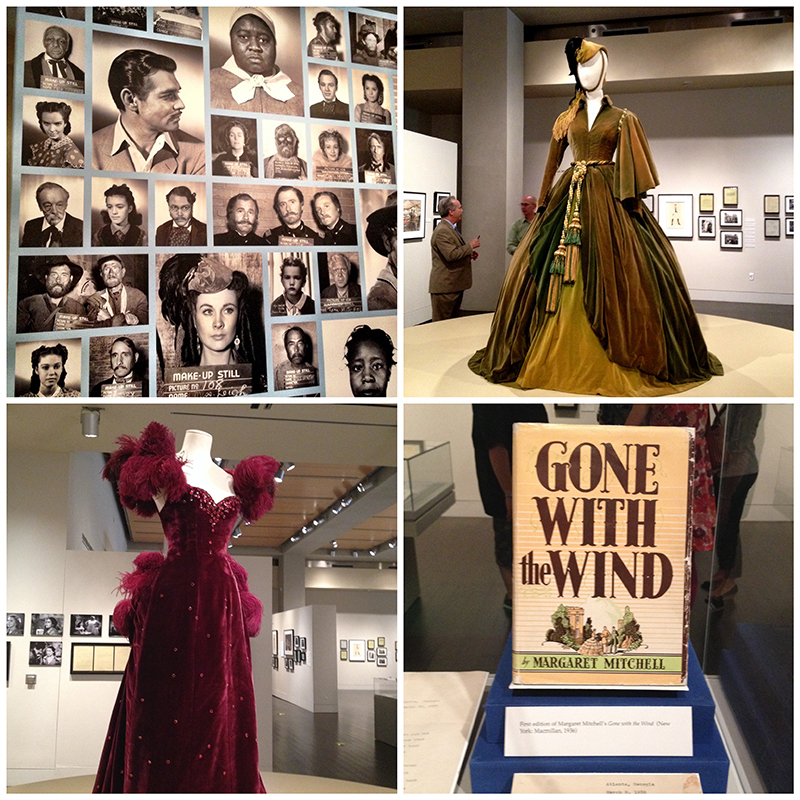 The Making of Gone with the Wind exhibit, Harry Ransom Center. The exhibit runs through January 4, 2015 and features more than 300 materials, including some never seen by the public. Go behind the scenes of the film by viewing on-set photographs, storyboards, makeup stills, costume sketches, audition footage and producer David O. Selznick&apos;s memos. The green curtain dress and other gowns worn by Vivien Leigh are displayed together for the first time in more than 25 years. While Clark Gable was a popular choice to play Rhett Butler, there was a nationwide search to find the actress to play Scarlett OHara. The exhibit tells the stories of the actress search and how Vivien Leigh was ultimately selected. Admission to the exhibit is free, but donations are accepted. If you would like a guided tour of the exhibit, the center offers free public tours every day at noon as well as Thursdays at 6 p.m. and Saturdays and Sundays at 2 p.m. The Harry Ransom Center has extended hours during this exhibit. Visit their website for more details on the exhibition and its hours. The Center is located on the University of Texas at Austin campus at 21st and Guadalupe Streets. Paid parking is available in nearby garages, including the Dobie Mall garage.